Gabriel Thomas Adams was born May 27th. He was 9 pounds and 4 ounces and was 20 1/2 inches long. His proud parents are Thomas Bradley Adams and his wife Jo Marie. He is the baby brother of Abi. He is the grandson of Shelia Adams and the late Mike Adams. 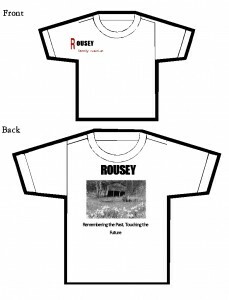 His great grandparents are Thomas and Shirley (Rousey) Adams. Wow, the big reunion of 2012 is fast approaching! We have decided on t-shirt and hat designs. I have attached a picture of the submitted design. The actual products may be slightly different. The shirts will be off white with either green or red lettering and the hat will be tan with black lettering. 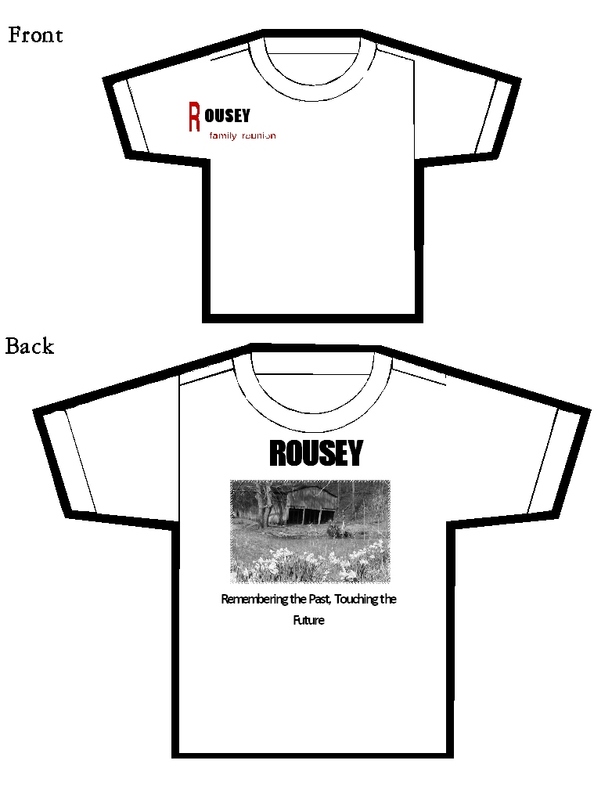 We will also have small cloth backpacks with Rousey Reunion on them. If you are interested in purchasing one for $5, let me know by the 25th also. You can pay and pick them up at the reunion. Please reply by June 25th to insure that you items are ordered.